Rita Ora - "Paper Heart"
Are any of these songs from CHER real, or are they all imagined? I would be so here for some Zedd and Ed Sheeran collabs! Love how much work you put into these tracklistings and all their logos. I wish her actual career was this well organised and styled! All the songs from Cher were imagined. And thank you where Nicole is concerned; I've always felt like she has never been that concentrated on her solo stuff. We could have so much more than we have right now. so yeah i'd be interested in hearing her and James.. This is a concept album that tells the story of a relationship ending. It’s broken into five parts: the end, the break up, the healing, the beginning, and the realization. The first part, the end, is tracks 1-3 and these represent the end of the relationship and what happens right before a break up. The second part, the break up, is tracks 4-6 and these represent the actual end of the relationship, the relapse, and self-worth. The third part, the healing, is tracks 7 & 8, and these represent moving on from the relationship and no longer allowing that person to occupy all of your thoughts and motivate your actions. The fourth part, the beginning, is tracks 9-11 and these represent the feelings of opening up to new people and beginning new special relationships. This part is missing a song about a relationship actually starting, so those of y’all with Cassadee tracks should send me the ones I’m missing so I can find a song to finish this album. The fifth and final part, the realization, is the final track, track 12, and represents the feeling of knowing that the past is in the past and being content with the choices you made. The idea is that this is a repeating cycle and the album could start over from the beginning after the last track and continue to tell the story. Ahh, okay. I was wondering what database all those awesome titles came from! And you're totally right about Nicole, she seems to be happier working on messy reality TV projects and working her way through every countries version of The X Factor than working on her music career. Love the looks of this! All we need is 'Hallucination' as the closing track and it would be my perfect album. Following the 2015 release of Revival and hitting the road for tour, which would ultimately end early for personal issue, Gomez and her team made the decision to re-release and repackage the Revival album with a few new tracks and revamped tracks that were done for the tour along with a DVD of the show for those who were unlucky with their cancelled show. Since stans have called Shawn Mendes a power bottom for the longest time, that gave me an idea. 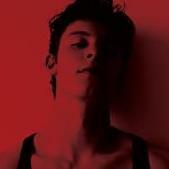 What if Shawn really was gay and got pissed so he decided to make a thing out of it, a mixtape. This would be a mixtape, not an album because it'd be outside of his regular stuff and would also sound very different from his previous project, it'd be very electro-pop with some lewd bops. Shawn would come out through this mixtape, not only as gay but also as a power bottom, making it some sort of a clap back for those people who had called him that as he owned the name calling, kind of a Taylor Swift situation. 'Power Bottom' would be surprise-released and would have 10 songs, with three collaborations. "Drippin' (feat. cupcakKe) would be the lead single. 'Explanation' would be a voice memo of Shawn explaining why he decided to make this mixtape as clear as possible because he wouldn't talk about it during interviews. 'Power Bottom' would be so far outside of Shawn's box but would also be the biggest statement he'd ever make. Post Cover Art's for any artist below!